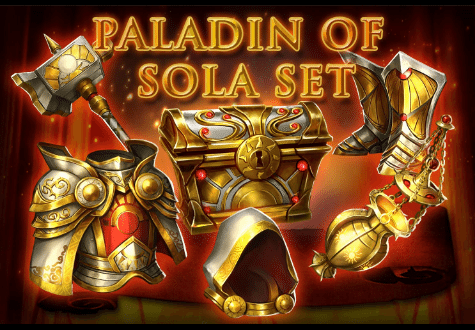 A new defensive set gear has been released, called the Paladin of Sola set. It’s going to be a slight improvement over Golden Shogun, to be sure, or there’d be no reason to upgrade. I have not seen any complete sets on social media yet, so I cannot confirm this first-hand. Based solely on the stats in the Forge, it’s an excellent all-around defensive set, with good overall troop boosts as well as troop type defensive boosts. It also has good enemy troop attack debuff in the set bonuses, which is lacking on the Golden Shogun set. These do seem a bit odd, but make more sense when you look at the gear. Cavalry Defense is slightly underrepresented in the gear based on stats alone, so MZ made up the difference in the Five-Piece Set Bonus. The Troop Defense bonus conferred by the full Seven-Piece Set Bonus is quite considerable, at 320% without taking the Full Set Bonus Boost hero skill into account. Looking at these values, overall Troop Health is non-existent. Overall Troop Defense and the three Troop Type Defenses combined are solid, however. The Troop Type Healths are high enough to not be zeroed out without specific core pieces, but the lack of overall Troop Health is the only readily apparent weakness of the set. Gem set for Sola is? Sola is much better at smaller army situations with less than 5M or so troops (like the Wonder) due to the health boost. In normal defense situations, Golden Shogun is the better choice because of the individual troop defense numbers. Remember, health is generall better for lowet number of troops and defense is better for higher number of troops. I think if you look at the regimental defense stats of the Paladin and Shogun sets you will find that custom mixed sets can be built to counter a particular missile rally. I like mixed sets simply because I can have an effective defense without having to buy the paks needed to finish a specific set. For a set that is only marginally better than Shogun why would you bother, when there are not yet cores that even come close to cancelling out Shogun’s individual troop defence boosts? Maybe this set is preparing us for the next monster core set which will be infantry based? Who knows.